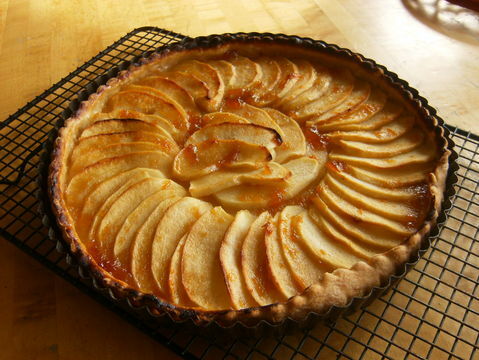 - Tarte aux Pommes: French style Apple Tart with Apricot Glaze. This will cover the pie dough (pâte brisée) technique. Brigitte was born and raised near Paris, France. She comes from a family of caterers, pastry chefs and chocolate crafters. She loves sharing her passion for traditional French cuisine as well as the joys of a beautiful French dinner experience. She is the owner of France Cuisine LLC, a personal chef service in Ann Arbor and has been a cooking instructor for several years. which you have shared a brilliant post. I read your article such an inspiring blog post. keep it up. one dollar hosting extra discount by godaddy.